With smartphone and tablet use on the rise, reaching your mobile customer is the new priority for any Internet marketing program. An effective mobile strategy is now critical to success, and your follow through in three key areas will determine how effective your campaign ultimately is in capturing these consumers on the go. and tablet are popular because you can take them anywhere and access anything, quickly. Can your customers take advantage of special deals in the moment on your mobile site? If you have a brick and mortar location, are there mobile-only opportunities for these consumers? Ensure your mobile content is both up to date and helpful for the customers who may be most pressed for time and also in your area-those on the phone or with their tablet. Second, your web design must be easy to read and see from any device. Long paragraphs of copy, complicated terms or product descriptions don’t belong on a mobile friendly website. Make your unique selling proposition quick to read and simple to understand from a small screen. Finally, make sure you have mobile ads and localized search terms for SEO that are relevant to the mobile user. Customize your mobile ads by using all the relevant data gathered from mobile devices, including check-ins, location, and past search behavior. Connect with these users with a mobile banner ad that tells them you’re nearby! As the world moves towards mobile devices and away from constant desktop use, your business must include these customers to stay relevant. Quite simply, it’s a big part of online marketing’s future, and that of any business wanting to stay ahead of its competitors. Stay current with your competitors. Optimizing your website, with special attention given to attracting local search traffic, has never been more important. In fact, a recent SEO industry survey reveals that the most popular SEO services today are onsite and Google+ optimization, with localization running a close second. Consumers are looking on the web for the goods and services you provide, especially in their local area. It’s up to you to make sure they find your business instead of someone else’s. For any company that depends on local customers, you must ensure your website appears in the search results for your city and surrounding areas. Optimizing your website for local traffic means you’re making it easy for the consumer to find your name, address, phone number and more by connecting your business with your region. To stay competitive, your website has to appear in both general search results and for relevant local areas. Get optimized, or fall behind: it’s that simple in today’s marketplace. 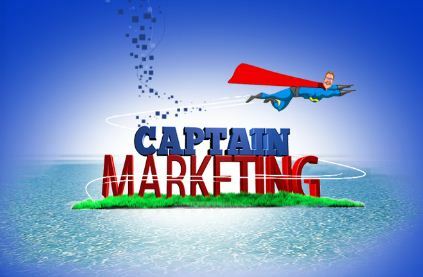 Captain Marketing has grown enormously in recent years, with a variety of new products we’re really excited about. Nevertheless, our mission remains the same: to serve the small to midsize business with extraordinary online marketing services to get them more customers, and make them more sales with unique, cutting edge techniques that have up until now only been available to Fortune 500 companies. In creating these new offerings, we’re always thinking about how we can maximize traffic and conversions for our clients, without costing them a fortune in the process. Delivering access to the highest quality marketing talent and the most sophisticated techniques to our customers is our privilege and our passion…and we look forward to helping you make the most of this exciting, lucrative new playing field we call the web. Give us a call…and let’s get started! The year is still young…and with these winter months come new clients, people representing small to midsize businesses who have never before considered it possible to make a significant “splash” on the web, but with today’s market conditions, now see it as an imperative. It is for these folks that this blog is addressed, to fill you in on some valuable lingo to use as you develop an effective online marketing strategy. *Landing page: This refers to the page your customer “lands” on after clicking one of your ads, your web address on list of search engine results, or a link on your website (a contact us page, for example). This landing page should feature all the keywords and well written content the rest of your website has, as well as a call to action and a way for customers to get in touch with you (phone number or email, or a click here now! button). *Average CPC: This refers to “cost per click”, or the price you pay every time someone clicks your PPC ad. Very important in terms of budget-some terms will cost far more than others. Your PPC project manager can explain more. *SERP pages: This is shorthand for the organic Search Engine Results Pages-what comes up when you type in a search term (say, “socks,” for example) into a search engine. You want to appear on page one if at all possible. Ads: List of ads that match someone’s search phrase. Advertisers can pay to have their ads show based on the keywords and targeting methods they’ve chosen and the ads they’ve created. *PM: project manager. Every campaign at Captain Marketing has a dedicated, onshore project manager assigned to your account. This means you have a live person, articulate, courteous and knowledgeable, at your disposal throughout business hours to contact by email or telephone to answer questions, explain strategy, or discuss a concern. Why Captain Marketing Works-And Why Most Marketing Departments Don’t. Marketing Week recently reported a figure bound to startle any marketing company worth its salt: 70% of CEOs have lost faith in their own marketing departments. Why? According to Marketing Week, it’s a result of most marketers’ inability to prove ROI on their campaigns. Lost in a virtual world of creative branding, there’s little connection between companies’ marketing departments and any actual conversion rate. Luckily, there’s Captain Marketing to the rescue! Why? Consider the following. We cost less than most marketing services. 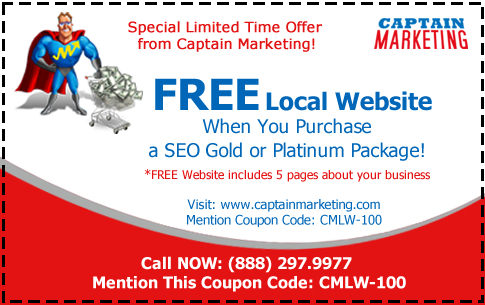 With highest quality marketing products delivered in monthly package rates starting at just under $100, Captain Marketing is dedicated to providing the “big city marketing departments” to companies for which these sophisticated services would otherwise remain just out of reach. Accountability and performance are our specialties, designed for businesses that depend on both. We provide total transparency and complete, monthly reports so you can monitor your spending- and your progress. Our PPC, SEO, and SMO departments will help you decode the often complicated data coming in for your paid ads, rankings on the organic search results, and impact of social media platform marketing. Our website design and copywriting departments are also aimed at getting you the most return on your dollar, with inexpensive, “a la carte” products that allow you to build the very best website piece by piece, as you need it-without the large initial investment commonly required for a total website redesign. We’re responsive. With onshore customer support and a dedicated project manager assigned to your account, you can get your questions answered-and help in making the kinds of marketing adjustments necessary to get the very best results. Marketing is not an exact science, but rather, the results of an ever-changing collaboration between you and your customer. We’ll help you identify what your clients are looking for when they come to your website-and what you can do to communicate your readiness to provide it. With many small to midsize businesses forced to tighten up their marketing budgets in today’s tumultuous economic climate, the challenge for everyone is in finding the most economical ways to improve SERP rankings and also get the word out about a great product or service. 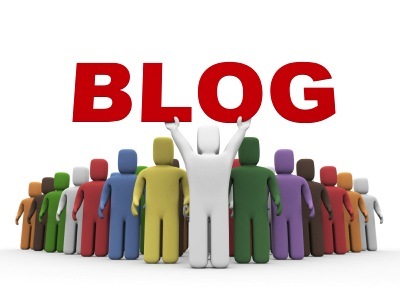 Have you considered a company blog? With Captain Marketing’s affordable blogging packages, you can multi task when it comes to achieving your web strategy goals, while at the same time remain within a conservative marketing budget. A great blog can work for you in several important ways. First, as multiple studies indicate (check out Hubspot’s 2012 study for even further info), blogging captures web traffic, through the increase in keyword density and a subsequent improvement in SERP rankings. The metric is pretty simple: more keywords used meaningfully in your content=better results from Google, Yahoo, and Bing. And with most search engine users reluctant to go past page one in the search results when looking for a product or service, we know it is critical to get the very best rankings you can for your relevant keywords. But blogging isn’t just about your SEO results. It also creates more knowledgeable customers, who are more likely to purchase something from your company when they understand who you are, what makes you special within your area of the general marketplace, and what they need to do to get on board with your product or service. Studies like the one conducted by Jupiter Research in 2011 about consumer online buying habits support this analysis, and furthermore, indicate that when buyers understand your brand, they’re more likely to trust your product. Trust=conversions. It’s an equation your business can’t afford to get wrong. Finally, did you know there’s a proven and significant correlation between the number of blog entries on a website and the median number of monthly leads? The market research company Hubspot showed this with an extensive 2010 research project, quantifying their results into a demonstrable correlation between a blog of more than 51 articles with a 77% lift in median monthly leads. When you consider the possibilities, a company blog can make the critical difference for your business in today’s competitive Internet marketplace. And with a range of blogging packages available, Captain Marketing is ready to help you find exactly the right program that works for your budget and your marketing plan. With endless possibilities for content, you can discuss with our copywriters exactly how you’d like your message to come across to a targeted audience, how often you’d like your blogs posted, and how long you’d like each article to be. Whether you have a seasonal message, prefer an emphasis on educating consumers about your year round products and services, or would like to create an informational, news oriented set of postings to entertain and inform your readership, our copywriters will work directly with you to get it exactly right. With Captain Marketing, you’re getting a sophisticated team of marketing consultants, SEO experts and seasoned copywriters who are committed to getting the very best results for your business. Check out how we can get you the blogs you need to see the conversion and traffic results you’ve been waiting for, today!